"HaHaHakim" was the biggest winner online on Apr. 14, walking away with $210,183 at @partypoker. Sunday 14th April was another massive day at the virtual felt thanks to the 888poker XL Blizzard and partypoker POWERFEST drawing to a close and the massive $10 million guaranteed PokerStars Sunday Million 13th Anniversary edition taking place. The Sunday Million drew in a crowd of 61,342, meaning a prize pool of $12,268,400 was created. This huge sum is being shared among the top 10,916 finishers with the eventual champion scooping $1,000,061. 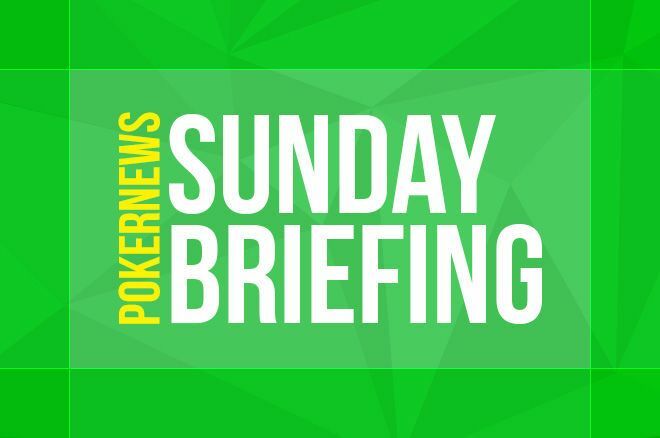 The play has paused in the Sunday Million with only 980 players remaining, each guaranteed at least $1,143. Brazil’s “Deputado1414” leads the way with 8,064,114 chips. Play resumes at 19:00 CET; stay tuned to PokerNews for a recap of the action. The $5,200 buy-in Powerfest #69-HSR: $1M Gtd Championship Event 8-Max saw 237 players take to the partypoker felt all hoping for a slice of the $1,185,000 prize pool. 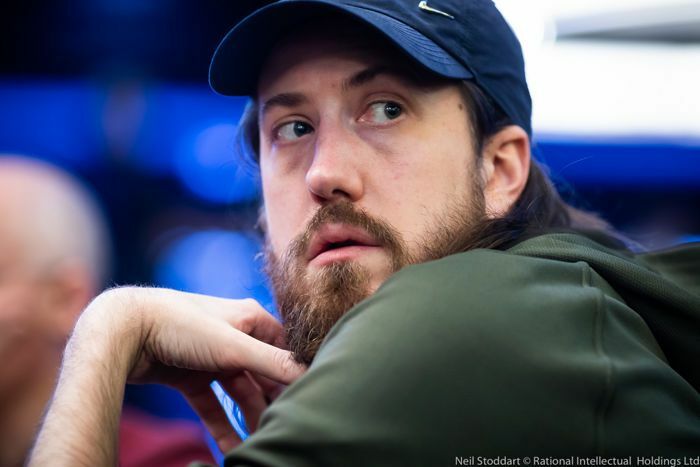 A trio of Team partypoker members navigated their way into the money places: Isaac “Ike_Haxton” Haxton, Jason “Jason_Koon” Koon, and Nikita “fish2013” Badyakovskiy all walking away with a return on their investment. Another Team partypoker pro in Renato “renatonomura” Nomura reached the final table but ran out of steam to bust in eighth-place for a $27,255 prize. Nomura was then joined on the rail by the first of two hailing from Britain in “FMylife” who banked $36,735 before “Jonas_Luck_” of Austria busted in sixth-place for $49,770. “Reallygamble” of the UK crashed out in fifth-place for a $65,175 score and was joined on the rail by Canada’s “FrioPequeno” whose $92,430 prize was the last score not to weigh in at five-figures. 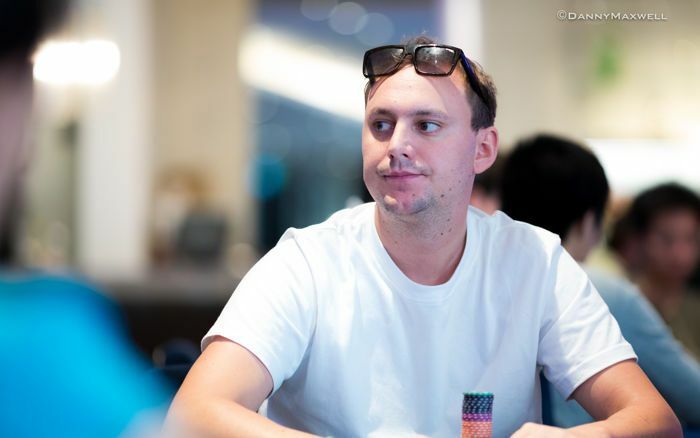 Jordan “JWPRODIGY” Westmorland added an impressive $125,017 to his lifetime winnings when his tournament ended in third-place, which left “AndreshhParty94” of Malta and “HaHaHakim” from the Netherlands to lock horns heads-up. The last pair of players ended the tournament prematurely by striking a deal for the remaining prize pool. This deal saw AndreshhParty94 take home $206,818, and HaHaHakim walk away with the title of champion and $210,813 in prize money. The Powerfest #70-HR: $1M Gtd Championship Event PKO 8-Max awarded some big prizes thanks to the bounty element of the tournament. There was a slight overlay thanks to 479-players buying in for $2,100, not that it bothered those competing as added value is always welcomed. Russia’s “justkot” fell in eighth-place but actually won more money overall than the sixth-place finisher “siejstar” thanks to the bounties. Justkot’s total prize weighed in at $24,289 with seijstar banking $22,635, going to show how profitable PKO tournaments can be if you knock out enough players. Fifth-place went to Ireland’s “Iveybluffallin” whose prize was worth $41,793 before Henrique “galochina10” Coutinho lost their chips and fell in fourth-place for a $57,343 addition to his bankroll. Now the prizes were really getting serious. “WhoIsICM”, hailing from the UK, locked up the $50,298 third-place prize plus $12,239 worth of bounty payments and sent the tournament into the heads-up stage. “EggsBenedict” of Brazil and “PotatoLottery” from Mexico fought it out one-on-one for what was a massive bounty payment. partypoker pays first and second-place similar amount in PKO events and leaves the heads-up players to fight for the now large bounty. This meant when EggsBenedict busted in second-place, they collected $73,321 from the main prize pool and $8,219 worth of bounties, with the champion scooping $73,420 plus an additional payment of $86,034 for a total prize worth $159,154. Ben “jenbizzle” Jones was the last player standing in the star-studded $2,100 Sunday High Roller at PokerStars, meaning he turned his buy-in into a cool $64,110 first-place prize. The top 20 finishers received prize money with everyone at the nine-handed final table securing $7,916. Elias “SinKarma” Gutierrez locked up this sum when he busted in ninth-place before the talented Linus “LLinusLLove” Loeliger busted in eighth-place for a $10,282 score. Kristen “krissyb24” Bicknell saw her tournament end in seventh-place, which was good for $13,354 and she was joined on the rail by the Mexico-based grinder Conor "blanconegro" Drinnan who collected $17,345. Next to fall was Russia’s “Black88” whose fifth-place finish netted $22,528 and the Russian was soon followed to the cashier by Aliaksei “ale6ka” Boika who ran out of steam and busted in fourth-place for $29,260. Any of the final three players would have been a worthy champion, but that champion was not going to be Patrick “pads1161” Leonard whose tournament ended in a third-place finish worth $38,004. Heads-up saw Steve “Mr. Tim Caum” O’Dwyer fight it out with Jones for the title and the $64,110 top prize. It was the latter who won all of the chip in play to resign O’Dwyer to the $49,360 consolation prize. More big prizes were awarded at PokerStars in the $2,100 Sunday Cooldown 8-Max Turbo PKO, and the final table was certainly a star-studded affair. After “kofi89” and “unclewolfy” busted out in eighth and seventh-place for scores of $11,778 and $9,541, the Netherlands-based British youngster Conor “1_conor_b_1” Beresford fell by the wayside in sixth-place for a $14,029 prize. Beresford was then joined on the rail by Michel “FreeLancerZZ” Dattani who had been collecting plenty of bounties on his way to the fifth-place finish, so many that he walked away with a total prize bigger than both third and fourth-place namely $28,338. China’s “huang33” was the fourth-place finisher, their exit banked them $19,444 and “vic_xcite” of Sweden scooped $21,997 in total after falling in third-place. 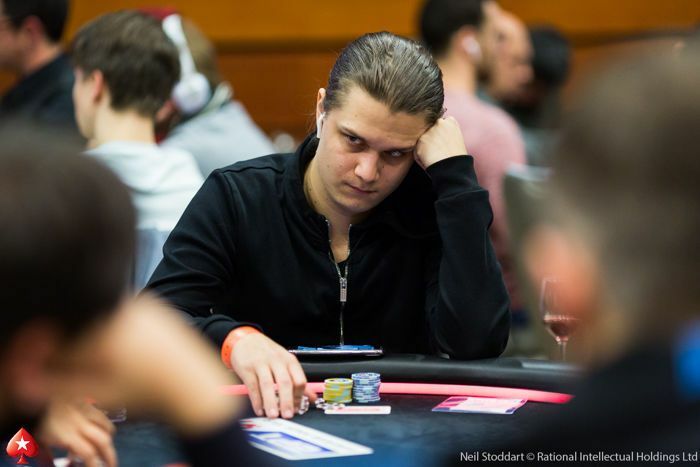 Bulgaria’s Krasimir “Kraskata85” Yankov faced the daunting task of taking on Sweden’s Niklas “Lena900” Astedt heads-up but doing so knowing they would win at least $40,488. Astedt defeated Yankov one-on-one and added another $57,016 to his already ridiculous lifetime winnings of more than $14.9 million. The XL Blizzard series created some impressive scores, but PokerNews will cover those excellent results in a stand-alone article. In the meantime, join us on congratulating “Grobar1984” of Serbia who turned their $109 investment into $4,687 by being the last player standing in the $20,000 Sunday Challenge. The Serbian navigated their way through 217 opponents to secure the top prize. Grobar1984 was joined on the final table by 888poker sponsored pro Chris “888Moorman” Moorman who fell in seventh-place for a $872 prize. Moorman was the last player to lock up a three-figure score as sixth-place finisher “pappagallo93” collected $1,090. Next to be eliminated was “frost3g” of Russia who added $1,308 to their 888poker balance and they were joined as a spectator by “BuyUADrank” of Romania and Argentina’s “Bombertime1” who walked away with $1,907 and $2,561 respectively. The champion was crowned after Grobar1984 sent Roman “EyesofSkadi” Matveychuk to the rail in second place, a finish worth $3,379. The top three finishers in the $10,000 Monsoon event turned their $55 buy-in into a four-figure prize. “MrDrogo”, hailing from Romania, got their hands on a $1,175 prize for their third-place finish, which left “SHUFFLEMAN” of Belarus and “sherblemon” of Russia to play one-on-one for the title and the lion’s share of the $10,000 prize pool. It was sherblemon who emerged victorious, getting their hands on the $2,150 first-place prize, which meant SHUFFLEMAN had to console themself with a $1,550 runner-up score. The Blade Series is in full swing at the GG poker network and it has thrown up some huge events with a massive prize pool. One such event was the Blade Series 009 $5K that saw 65 players create a $308,750 prize pool that was shared among the top eight finishers. “AceKing41” was the first player to cash, getting their hands on $11,320 and they were followed on the payouts by “PyramidOfSkulls” and “FkTheseGuysBro” who scooped an impressive $14,963 and $19,778 respectively. A brace of Mexicans were the next casualties. 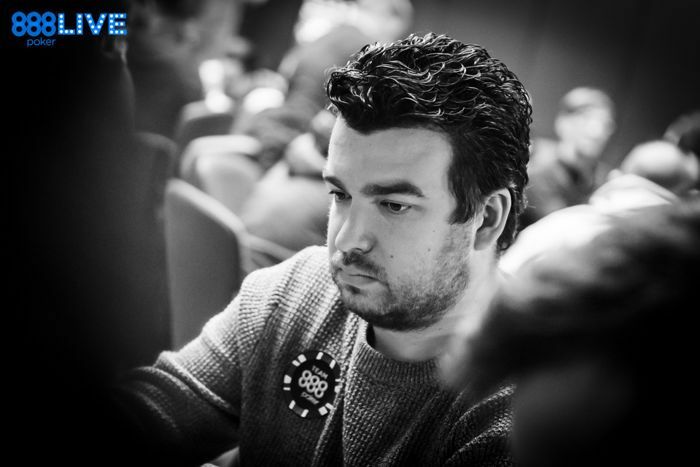 “Nator” busted in fifth-place for $26,413 and was joined on the rail “nbvcxz” who locked up $34,556. The only British player to cash was “DownswingPeters” who netted $45,676 for their third-place finish. No deal was discussed heads-up despite there being a $35,600 difference between first and second-place. This meant “KenBrynney” netted $60,374 for their runner-up finish when “NOMAMES” sent them to the rail in second place, with the champion taking home $95,936. The Blade Series 007 $10K attracted 34-entries who created a $329,800 prize pool that was shared among the top five finishers. Fifth-place and $20,730 went to Austria’s “FNC_Broxah” before Netherlands’ “RuiNF*" ran out of luck and busted in fourth-place for a $32,934 prize. The penultimate bust out was that of “PokerBluff1” of Hungary whose bronze medal finished earned them $52,322. Unlike the $5K event, this $10,000 buy-in event did end in a chop. It was two Ukrainians who shared more than $220,000. “Pihler13” is credited with the victory despite taking home less than Roman “SanityWaterline” Romanovsky. The winner netted $92,120 and the title of champion while Romanovsky padded his bankroll with $131,692. Lead operator of the GGNetwork with the best online poker in Asia, also offering casino and sports. Free $8 deposit bonus and 100% deposit match. T & C's apply. Want a mention in this article? First, you'll need an account at these online poker rooms. Get the best deposit bonuses here!